The Child Study Center of New York is a nonprofit that provides educational support for preschool students with special needs. Its executive director wanted a fresh, modern logo and visual identity that would show the organization's inclusivity, playfulness, and friendliness. I designed a trio of cheerful, childlike faces in vibrant colors, which could be applied playfully in multiple contexts, and produced a style guidebook. Unfortunately, the project was dropped after a change in organizational leadership. The Borevitz Lab is a team of plant scientists who use cutting-edge technologies to develop gene-based solutions for landscape issues. 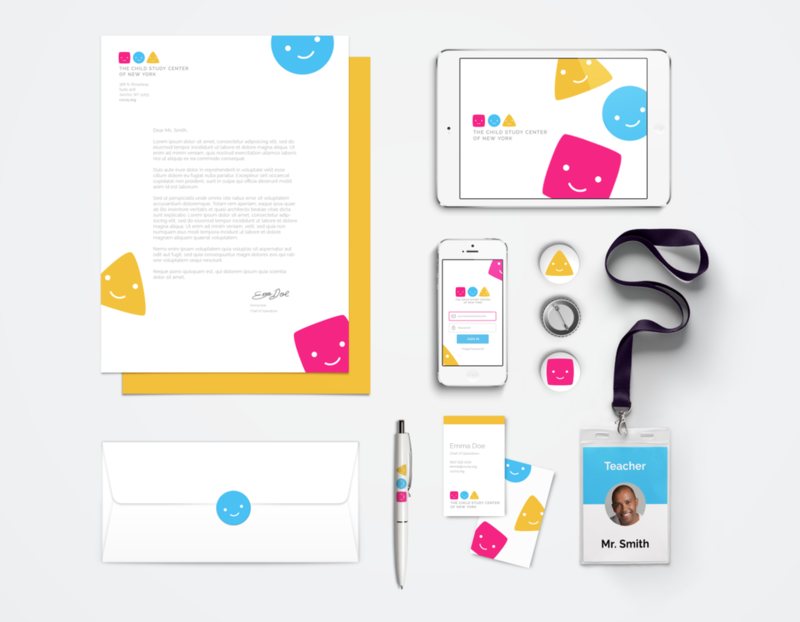 With its expanding production of digital media, the group needed a logo to convey its work themes while being distinctive at any scale—from smartphones to auditorium presentation screens. I designed a logo inspired by computer motherboards and forest trees, representing the lab's commitment to researching natural systems with technological tools. The logo shows trees in different growth stages supporting each other, representing the lab's highly inclusive, collaborative spirit. The shape of the B mimics the shape of an SD memory card, a staple for the lab. I also produced a logo usage guidebook. Adobe Spark Post is an app that enables users to design branded graphics in seconds. For the launch of a grid-based design feature, we wanted to offer templates for users to remix. Since the target user was small business owners needing marketing design solutions, I felt that each template needed to appear branded and should reflect typical marketing needs for that user group. I produced a set of 20+ templates that were diverse in branding styles and could be easily customized, working within the constraints of the app's design and typographic tools. Designing for paper and screens doesn't have to mean flat design. But adding dimension to a design can easily veer into Tacky Territory (think: drop shadows, bevels, halos!). When the subject matter relates to reflections or shadows, using a subtle text reflection can set an elegant tone to a brand's visual style. I produced a tutorial on how to create text reflections in InDesign and designed several examples of branded marketing items with more advanced techniques. This tutorial was published in InDesign Magazine. Graphic design can help companies to build their brand and convey their ambiance. But elegantly designing info-dense materials such as menus can be challenging. Using the example of a restaurant being rebranded as a more upscale establishment, I produced a video tutorial describing some common errors in menu design, and showed how to create a more upscale look with basic typographic and layout principles. The tutorial was published on Adobe Create.